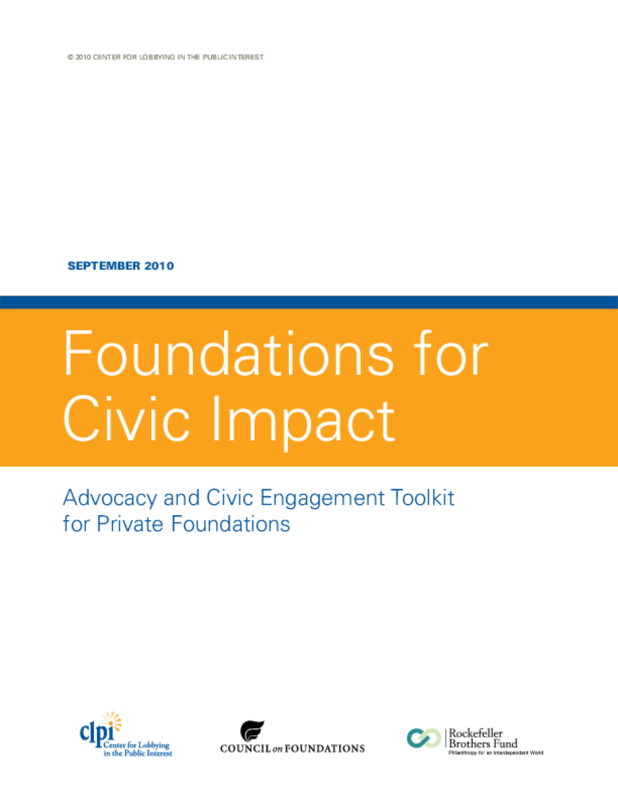 Offers guidance for private foundations on supporting grantees' policy and civic engagement activities, including rationale, rules for private foundations as grantmakers and as advocates, sample grantmaking materials, success stories, and resources. Copyright 2010 by Center for Lobbying in the Public Interest. All rights reserved.